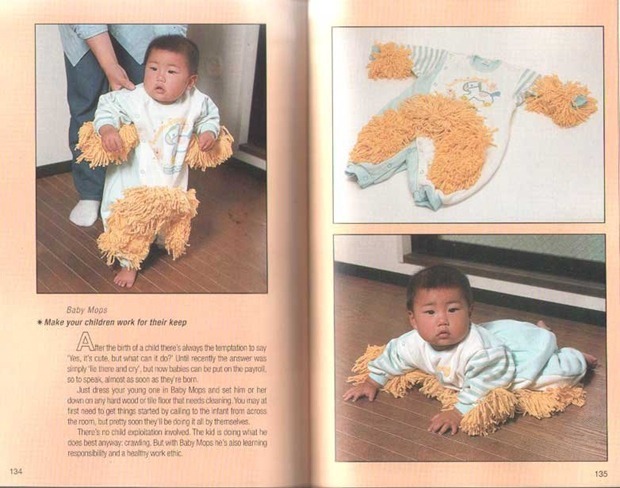 Truly a two-birds-with-one-stone product, the Baby Mop concept seems to be a divisive topic. Some people seem to think it’s a good idea while others call it “downright disgusting.” I’ll try to stay out of it, as I don’t have any children of my own. On the one hand, it seems clever. One the other hand, it seems kind of weird/cruel. I’ll admit that I laughed when I first saw the photo, but my wife didn’t find it funny at all. And so we dance. At the end of the day the Baby Mop appears to be a joke, not an actual product.